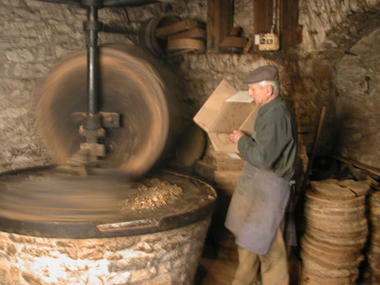 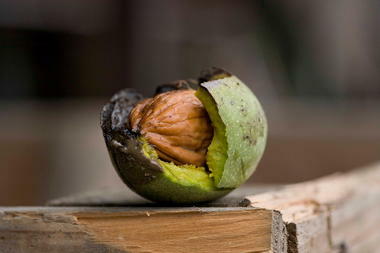 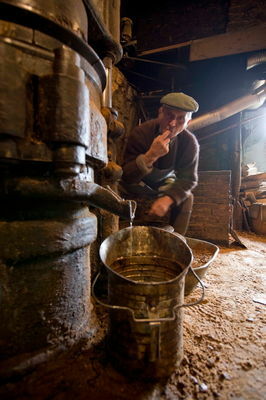 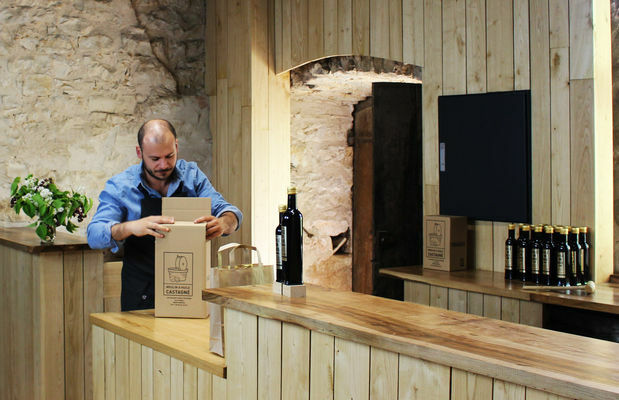 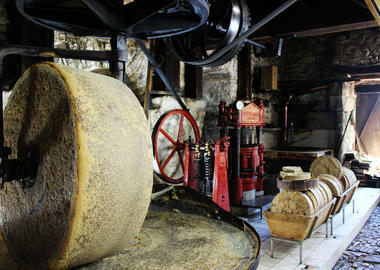 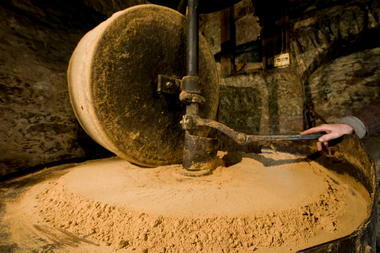 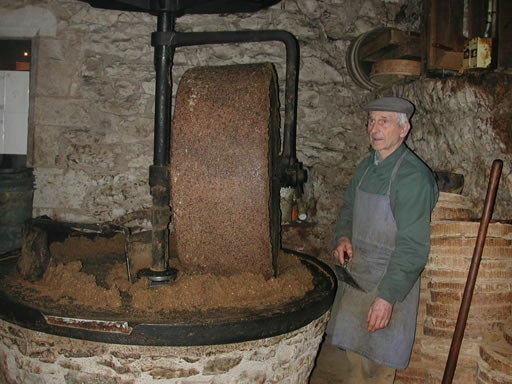 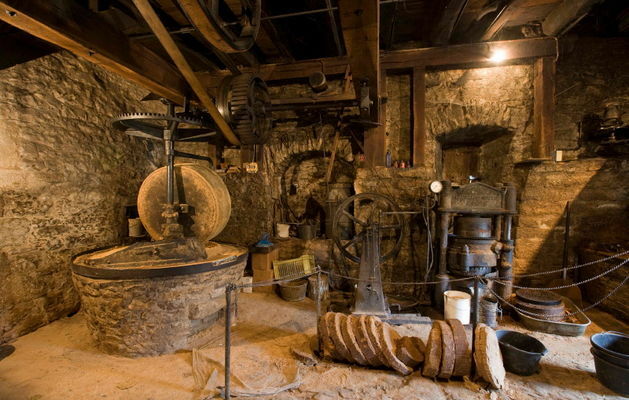 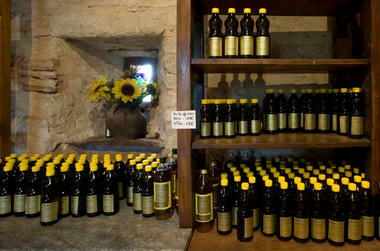 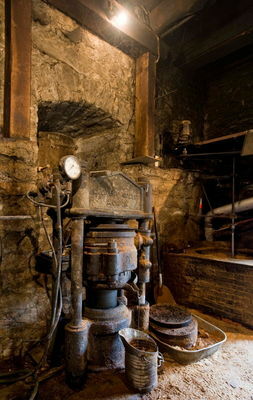 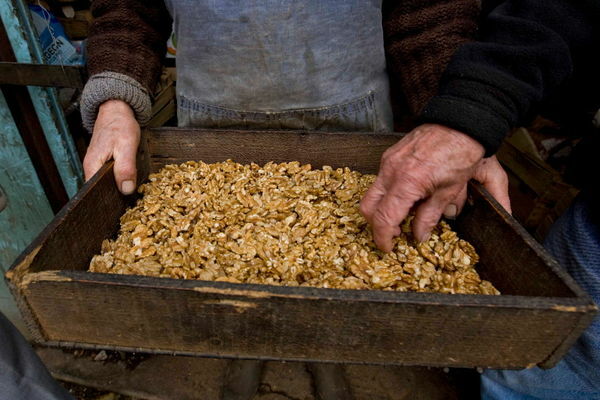 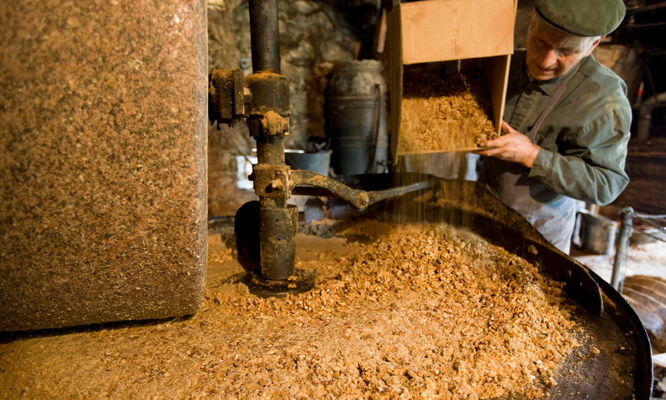 This walnut-oil mill is worked by the Castagné family, who are farmers and walnut-producers. 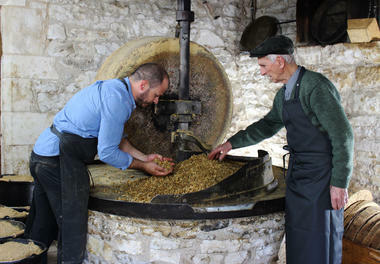 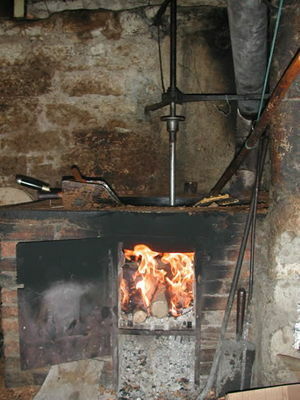 This former hunting lodge has become a walnut-oil mill which functions all year round and demonstrations of milling are provided for visitors. 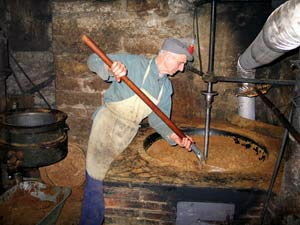 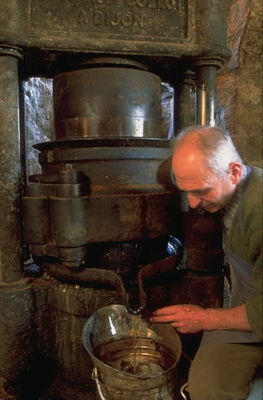 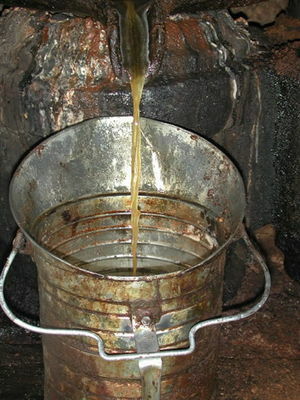 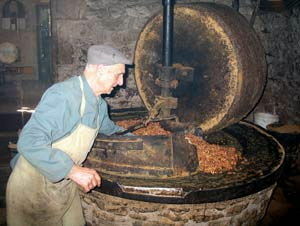 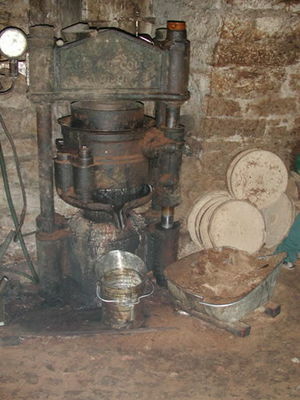 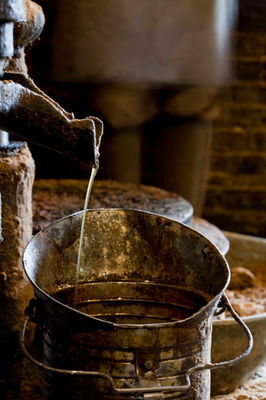 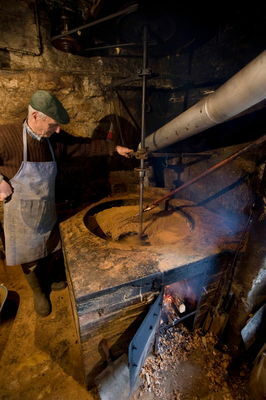 A millstone crushes the kernels and a hydraulic press extracts the walnut oil. 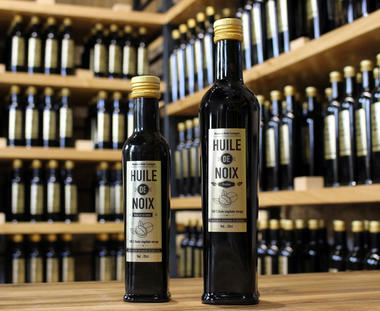 On sale in the farm shop: walnut oil and delicious hazelnut oil, plus the traditional "walnut wine" aperitif (vin de noix) from Quercy.